LESSARD, FRANÇOIS-LOUIS (baptized Louis-François-Guillaume), militia and army officer; b. 9 Dec. 1860 at Quebec, son of Louis-Napoléon Lessard and Jane Felicity McCutcheon; m. there 25 April 1882 Marie Florence Lee, and they had three daughters; d. 7 Aug. 1927 in Meadowvale (Mississauga), Ont. François-Louis Lessard’s father was a secretary with the Quebec Permanent Building Society; his mother was of Scottish background. Known to his friends as Louis, Lessard was educated at the Collège Saint-Thomas in Montmagny and the Académie Commerciale de Québec. According to an obituary, he “spent some years in business” before concentrating on a military career. As with many other francophone political and military leaders of the time, he was exposed throughout his early life to both British and French cultures. He joined the Quebec Volunteer Militia Cavalry Squadron as a private in 1878; two years later he entered the School of Gunnery (B Battery, Garrison Artillery) as an officer. In 1884 he transferred to the 65th Battalion of Rifles (Mount Royal Rifles) and then to the Cavalry School Corps (Royal Canadian Dragoons), one of the original Permanent Force units. Lessard’s first active service, during the North-West campaign of 1885 [see Sir Frederick Dobson Middleton*], was limited to protecting supply lines and his cavalry unit never came under fire. Increasingly recognized as a trainer and an administrator, he was promoted captain (1888), major in command of A Squadron of the RCD at Toronto (1894), inspector of cavalry for Canada (1896), and lieutenant-colonel (1899). When Prime Minister Sir Wilfrid Laurier* announced a contribution of volunteers for the South African War in October 1899, Lessard led the calls for recruits in Quebec. He could not join the first contingent [see Sir William Dillon Otter], which consisted of infantry, but he volunteered for special service and sailed with it to Cape Town. He found employment on the staff of the imperial cavalry commander, John Denton Pinkstone French, and participated in the relief of Kimberley. After British leaders asked for a second Canadian contingent, with mounted troops, two battalions of the Canadian Mounted Rifles arrived in March 1900. Lessard took charge of the 1st Battalion, which he helped rename the Royal Canadian Dragoons (underlining its relationship to the Permanent Force was perhaps one of his considerations), and he led it through 27 engagements. In October he was placed in temporary command of Major-General Horace Lockwood Smith-Dorrien’s mounted troops clearing the Belfast district. One of the best-known battles involving Canadians occurred at Liliefontein, when Smith-Dorrien led an expedition to disperse a Boer commando laagered in the area of Witkloof. The strength of the Boer forces and his own lack of mobility forced Smith-Dorrien to return to Belfast, leaving Lessard’s Dragoons and Lieutenant Edward Whipple Bancroft Morrison’s guns to cover the retreat on 7 November. Although a few individuals criticized Lessard’s performance, Smith-Dorrien described him as an able commander who displayed “the greatest gallantry.” Historians have recognized his participation as courageous and decisive and the RCD as one of the best units on either side. Lessard’s actions would seem to have helped his career; he received several honours, including the cb. 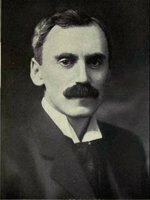 After his return to Canada in 1901 and the disbandment of the Dragoons, he continued to command the original RCD in Toronto, in addition to resuming his role as inspector of cavalry. Lessard’s regiment was the model for the cavalry school at Stanley Barracks in Toronto. The courses he conducted there for the militia greatly influenced the development of cavalry in eastern Canada. Many benefited too from the lectures and courses he gave on staff duties, military law, tactics and strategy, and topography at the Canadian Military Institute and elsewhere during the years he was stationed in Toronto. In 1907 he was promoted colonel and made adjutant general of militia; he became brigadier-general in 1911 and major-general a year later. When war broke out in 1914, many considered Lessard the ideal candidate to lead the 1st Canadian Division overseas. 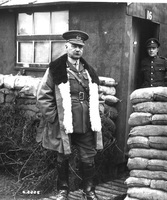 The command, however, went to Lieutenant-General Edwin Alfred Hervey Alderson. Even before the war Lessard’s differences with Samuel Hughes, the minister of militia and defence, had become a serious obstacle to his advancement. Hughes favoured the role of citizen volunteers at the expense of Permanent Force soldiers, whom he believed should be relegated to instructional roles. In April 1912 Lessard helped foil Hughes’s first attempt to promote himself major-general. As a result, he was removed as adjutant general and sent to command Military District No.2 (Toronto and central Ontario). 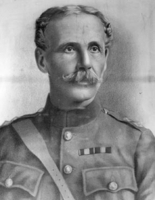 This is the position he held in August 1914; in December he was made inspector general of militia for eastern Canada. Lessard had several more confrontations with Hughes, while continuing to receive praise for his administrative skills. For six months in 1916 he went overseas to report on training in the Canadian forces. His findings highlighted the problems in Hughes’s system of recruitment and training [see Onésime Readman*] and he recommended improvements that would help Canadians integrate more easily into units in the field. In particular, he hoped to see more input from non-commissioned officers. 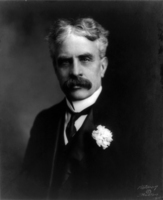 Hughes took no action but his replacement, Sir Albert Edward Kemp, implemented many of Lessard’s recommendations. ANQ-Q, CE301-S1, 25 avril 1882; CE301-S22, 9 déc. 1860; E17/361, 1918, no.1661 (texte dactylographié). AO, RG 22-359, no.4680; RG 80-8-0-1072, no.26626. NA, MG 29, D61: 4929–30; MG 30, E41; E339, A. E. Hilder, “Comrades all,” 58–73 (photocopies); RG 9, II, A2, 9; A3, 32; RG 24, 2323, HQS 66-10; RG 150, Acc. 1992–93/166. Conservator (Brampton, Ont. ), 11 Aug. 1927. Globe, 8 Aug. 1927. La Patrie, 14 oct. 1899. La Presse, 9 oct. 1899. Toronto Daily Star, 8 Aug. 1927. Can., Dept. of National Defence, Directorate of Hist. and Heritage, Hist. Resource Centre (Ottawa), 71/246 (C. G. Power, Account of riots in Quebec City); Parl., Sessional papers , 1901, no.35a. Canadian annual rev., 1904, 1917. Canadian men and women of the time (Morgan; 1912). J. F. C[ummins], “A distinguished Canadian cavalry officer: Major-General F. L. Lessard, c.b.,” Canadian Defence Quarterly (Ottawa), 3 (1925–26): 128–31. A. F. Duguid, Official history of the Canadian forces in the Great War, 1914–1919 (only 1v. in 2 pts. [1914–September 1915] was published, Ottawa, 1938). Brereton Greenhous, Dragoon: the centennial history of the Royal Canadian Dragoons, 1883–1983 (Belleville, Ont., 1983). R. G. Haycock, Sam Hughes: the public career of a controversial Canadian, 1885–1916 (Waterloo, Ont., 1986). John MacFarlane, “The right stuff? Evaluating the performance of Lieutenant-Colonel F.-L. Lessard in South Africa and his failure to receive a senior command position with the CEF in 1914,” Canadian Military Hist. (Waterloo), 8 (1999), no.3: 48–58. Carman Miller, Painting the map red: Canada and the South African War, 1899–1902 (Montreal and Kingston, Ont., 1993). Jean Provencher, Québec sous la loi des mesures de guerre, 1918 ([Trois-Rivières], 1971). R. F. Sarty, “Silent sentry: a military and political history of Canadian coast defence, 1860–1945” (phd thesis, 2v., Univ. of Toronto, 1983), 326–35. John MacFarlane, “LESSARD, FRANÇOIS-LOUIS (baptized Louis-François-Guillaume),” in Dictionary of Canadian Biography, vol. 15, University of Toronto/Université Laval, 2003–, accessed April 22, 2019, http://www.biographi.ca/en/bio/lessard_francois_louis_15E.html.